Today we consolidated our knowledge of muscles and how they work by using keywords cards to describe what the muscles are doing in a particular position. 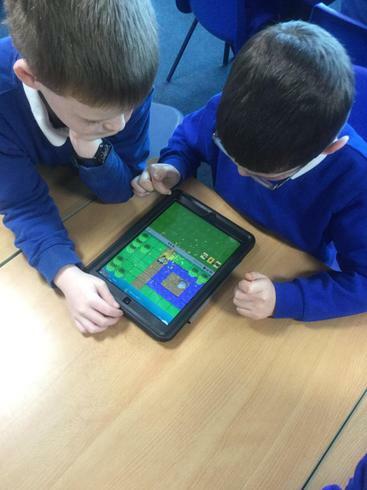 We worked in pairs and used keywords such as 'contract' and 'relax'. We are a happy and quirky class who look out and care for each other. Welcome to Year 3! We are an energetic class of 26 and in our class, you will find the class teacher, Mr Stewart and Mrs Bramwell, our teaching assistant. We recently visited Sherwood Pines for a 'Jingle Jog', which is a run in Santa Hats! Year 3 and Year 4 represented Lake View admirably, as it was an event attended by lots of other schools in the local area. After the Jingle Jog, Year 3 went on a 'minibeast' hunt in the depths of the forest, looking for minibeasts and the habitats in which they live. 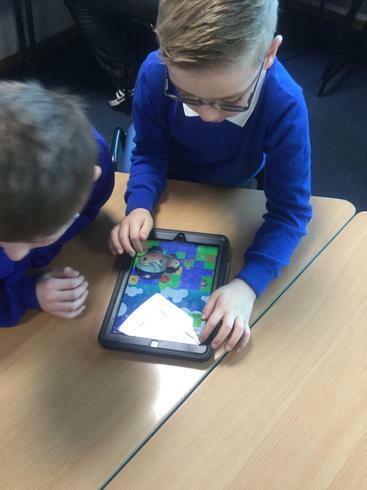 This is a picture of our children using our new IPADS to do a coding lesson in ICT, using apps like Bee-Bot and Kato's Journey. Our New Topic for the Spring term will be Ancient Egypt. Our current Topic is China. This picture displays all of the hard work of the children outside of school, for as their homework project they were asked to research and create their favorite Chinese artifact. We are also proud winners of the monthly attendance award for the month of September, as we scored a huge 98%! Medium term plan- Summer 1. Spring Curriculum Map- Ancient Egypt.